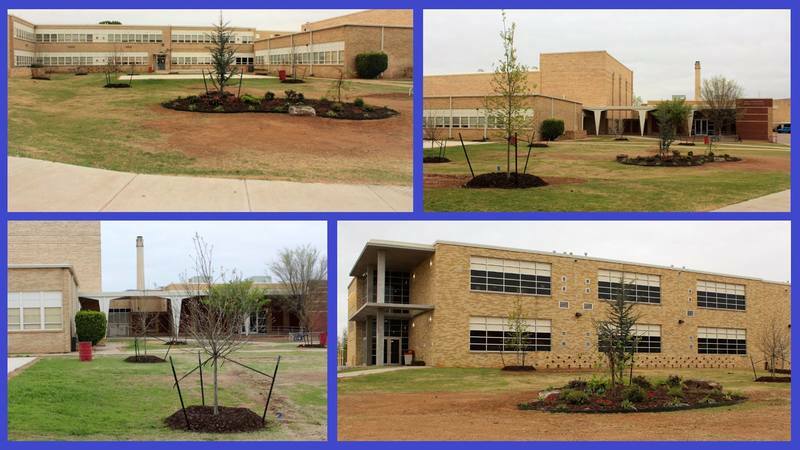 If you're driving down Ferris, try to catch a peek at the freshly landscaped Southeast corner of campus at LHS! The area is complete with beautiful trees and flowers, as well as a new irrigation system. This was made possibly by the Lawton Economic Development Authority, LPS bond money, LHS PTSA and donors like YOU! More than $10,000 worth of work has been put into the park-like area, where LHS plans to enjoy school functions and hold various events -- the first, which is currently in its planning stages, should be a spring festival after testing season! Additional fundraising will be organized next school year to fill the area with benches, tables and other decor.